The first 100 days of a new job are critical for future success at a company. Big wins should happen early and often, whether that means carving out a new niche for yourself, leading a team to success, or simply showing your team that you are a curious lifelong learner. 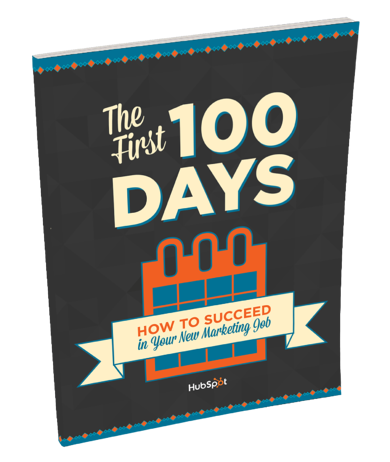 This guidebook will show you how to make the most of your first 100 days on the job, including tips from successful employees, managers, and companies such as Eventbrite, Twitter EMEA & APAC, and HubSpot’s own Director of Talent and Culture. … and much more! Just fill out the form to redeem your free guidebook.